HE goes by the handle @FilipinoDRose on Twitter, but Simon Enciso will be the first to say he is far from being the local version of the youngest ever NBA MVP. The 5-foot-11 Cebuana Lhuillier guard admitted he admires the Chicago Bulls star so much as well as other explosive guards in the NBA, so much so that he tries to pattern his game after his favorite players. But Enciso was quick to temper expectations he could actually play like Rose. “I guess I’m quick and explosive. I like to watch a lot of highlights of D-Rose along with Kyrie Irving and Chris Paul. I like to just mirror my game around them,” he said. “He (D-Rose) is one of my favorite players so I try to play like him. It will be an honor for somebody to call me that but that’s just a Twitter name. I’m nowhere near D-Rose,” said the 23-year-old Enciso. Enciso is beginning to make a mark in the PBA D-League where he plays for the Gems in the Aspirants Cup after his stint with the Notre Dame de Namur University Argonauts, an NCAA Division II school, in California. He has also played in several Fil-Am leagues in the United States before moving to the Philippines. Born to Filipino parents in San Francisco, Enciso said it has always been his dream to play professional basketball in any country but had to fulfill his mother’s wish for him to get a degree before pursuing a career in the sport. “My mom said to finish school first. I graduated with my degree and she allowed me to do whatever I want,” said Enciso, who has earned a degree in Kinesiology. He was already well known in the Fil-Am leagues in the United States before deciding to try his luck in the Philippines where he was drafted by Cebuana Lhuillier in last year’s PBA D-League draft. 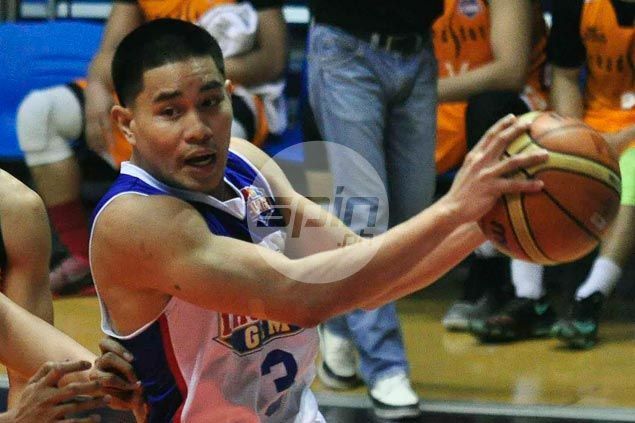 Enciso said he is quite lucky to have the guidance of several known Fil-American players in the country including former Barangay Ginebra coach Jeffrey Cariaso in his stint with the Gems this conference. “Kuya Jeff is one of the guys who is mentoring me here. Josh Urbiztondo (Ginebra guard), I played with him back home in little Fil-Am leagues back home. They have been great for me,” said Enciso. On Monday, he played the breakout game in the PBA D-League, scoring 24 points in a 90-78 win over Breadstory-Lyceum that helped the Gems cement their place in the quarterfinal round. Enciso said playing in the Philippines for the Gems is “like starting over again,” but it is no longer nothing new to him. “Back home in college during my junior year, no one knew me as I was a new recruit. It’s the same thing here. I just try to work hard because I believe hardwork pays off,” Enciso said.